Official state of Montana vacation, recreation, accommodations and travel information website. The Belton Chalet offers fine dining and lodging in a beautifully restored Chalet and Lodge directly across from the Belton Depot in West Glacier. Eddie’s Cafe & Gifts is a family owned business, which is located in Apgar Village at the foot of beautiful Lake McDonald just inside the West Entrance of Glacier National Park. The Glacier Highland Resort is a one stop vacation destination with a motel, restaurant, gas station, convenience store and gift shop. The Glacier Institute is a private nonprofit organization that provides hands-on, field-based educational adventures to people of all ages. Their field office is located inside Glacier National Park. The Glacier National Park Conservancy is the official non-profit fundraising partner of Glacier National Park. The Conservancy assures the Glacier National Park experience by providing support for preservation, education and research through philanthropy and outreach. Glacier Park Boat Company has been offering boat rides in the Park since 1937. They operate out of Many Glacier, Lake McDonald, St. Mary, Two Medicine and Apgar. Glacier Park Incorporated operates several historic lodges around Glacier National Park as well as the Prince of Wales Hotel in Waterton National Park. 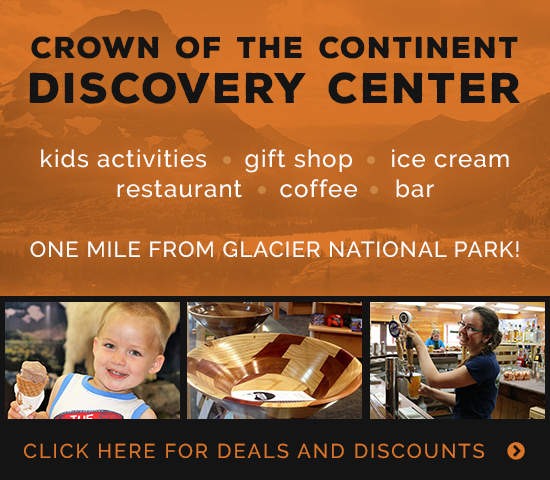 Additionally, they offer several packaged services through partnerships with multiple Glacier-based businesses. Glacier Raft Company is Montana’s oldest raft company. In addition to whitewater rafting, they also offer fishing trips and lodging and operate an extensive retail shop called the Glacier Outdoor Center. Glacier Guides and Montana Raft Company offers guided hiking, rafting and fishing trips in and around Glacier National Park. Great Northern specializes in whitewater rafting, fishing trips, kayaking, lodging and wedding ceremonies and receptions. 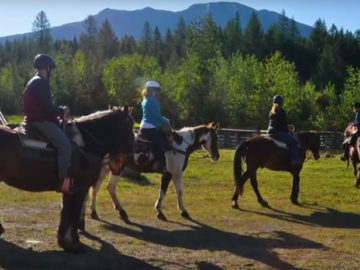 The Historic Tamarack Lodge & Cabins backs up to the Flathead National Forest and is known for year-round outstanding hospitality, clean and comfortable cabins & lodge rooms, continental breakfasts and affordable lodging rates. The Izaak Walton Inn, in Essex Montana, is an alpine lodge constructed in 1939 by the Great Northern Railroad. The resort is open year round and specializes in cross country skiing in the winter. A great basecamp, Kalispell offers discovery in every direction – from Glacier National Park to Flathead Lake and all around. The St. Mary’s KOA is located just one mile from the St. Mary’s Entrance to Glacier National Park. The resort offers traditional tent sites, RV sites and cabins. Belton Chalets Incorporated operates Sperry Chalet and Granite Park Chalet, the only two remaining historic backcountry chalets in Glacier National Park. The West Glacier KOA is 2.5 miles away from the West Entrance of Glacier National Park. In addition to tent sites, there is a large log lodge with a pool table, TV and fireplace as well as a heated swimming pool, restaurant and ice cream shop. Discover the Top 10 Scenic Drives in the Northern Rockies – 10 spectacular drives through some of North America's most scenic mountains, lakes, charming towns, and historic places. The drives connect 19 spectacular National Parks, Monuments, and Recreation Areas via nationally-designated Scenic Byways and National Historic Trails.